Most people have many ideas on how they should organize their home. However, their main problem is that they are not organized and do not have a plan. They have some vague ideas and they are not sure on how to start their project. Our company can help you to design your home with our innovative product line The best way to design your home is to have a vision, look at your budget and contact a professional. The first step in is to have a vision. You need to get some ideas on how you can change your home. You can drive by different neighborhoods to look at different homes and to see what interests you. Some places have an open house. Take pictures of your favorite houses and organize then in a notebook. You can go to model homes and take pictures of the different rooms in order to get ideas to design you home. Next, you should have a budget for your home design. Your budget will place a limit on how you can change your home. Having a budget in place will force you to find the best price for the products that you want to have in project. Our company has competitive prices and should be lower than other companies. The last step is to contact a professional to put your plan into action. An architect can convert your wonderful vision into a reality while sticking to your budget. 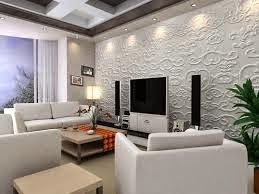 You can also hire an interior decorator to add some final touches to your home. To learn about more home design ideas and about our fine product line, you can contact us at affordablehomeinnovations.